Jamie Davies from Georgia State University reminds recruits to do their research before contacting a coach. 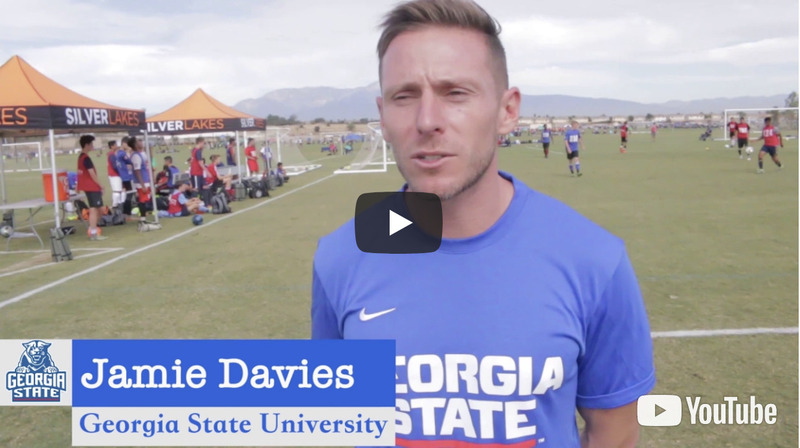 "Hi, I'm Jamie Davies, I'm the assistant coach at Georgia State University. My tip for recruits would be when you are emailing coaches, make it personable. Know the majors that they've got, make it sure it's the one that you're interested in. Know about their record, know about the team. And from there you can create a relationship with the coach. Nothing worse than sending a generic email. So really do your homework on the program at the school and from there everything else will click."